This article is the detailed guide to low-carb desserts – which ingredients to use, where to find them, types of low-carb desserts and, of course, links to recipes. Most traditional desserts are reasonably easy to adapt for low-carb ingredients. The only exception is recipes relying on sugar’s chemical qualities rather than just its sweet taste – such as its ability to caramelise. But you should be able to adapt most traditional dessert recipes, using just a handful of substitutions as below. 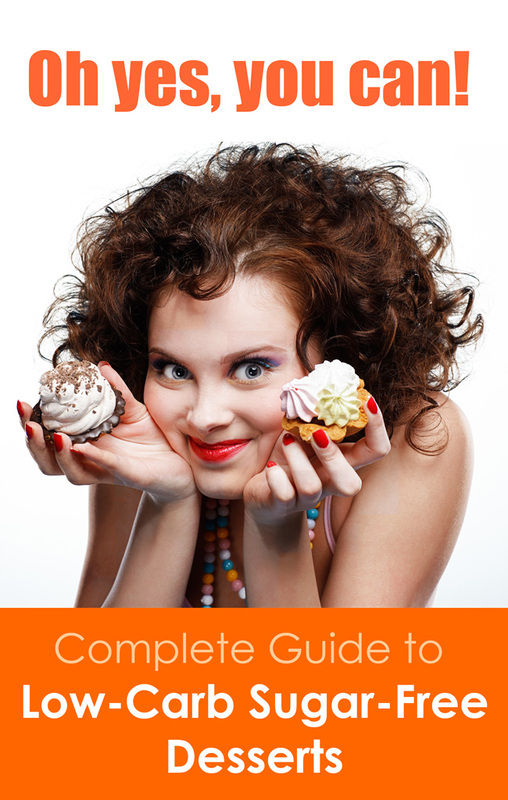 Erythritol is the best granulated sugar substitute for baking – it is often sold mixed with some Stevia. Popular brands of erythritol are Truvia, Swerve and Sukrin. For most people, carbs in erythritol are not digestible at all, making it zero carb and zero calories. Xylitol works really well for baking, but some of its carb content is digestible (around 10-20g of digestible carbohydrates per 100g, depending on the individual), so it has a much higher net carbs count than erythritol. Liquid sweetener drops – some desserts work better with liquid sweeteners – the most common types are liquid sucralose and Stevia extract. Nut-based flours are basically just very finely ground nuts, sometimes defatted to improve texture. The most popular ones are almond flour (or ground almonds) and coconut flour, but pretty much any nut can be ground up and used for this purpose. Ground flaxseed is also a popular ingredient, due to its wonderful nutritional profile. Nut flours do not contain gluten – the ingredient which makes traditional bread supple and light. So you would usually need to add something to make up for the absence of gluten – xanthan gum, guar gum and psyllium husks all work well in this capacity. Did you know that chocolate is perfectly acceptable on a low-carb diet? Your enemy is sugar – not cocoa. 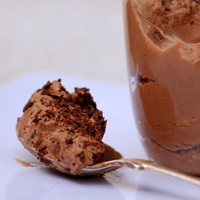 Many well-known brands now produce unsweetened versions of their chocolate products, which you can use for baking, making desserts or making your own chocolate (it’s fun!). If you can’t be bothered with any of that, there are also some specialist products available, already sweetened with Stevia or another sugar substitute. You can get sugar-free versions of extracts commonly used in baking, such as vanilla extract, or flavourings such as orange or almond extracts. These can be hard to find in supermarkets so you might have to look online or in specialist shops. So what can you make with all these low-carb ingredients? The answer is almost anything! 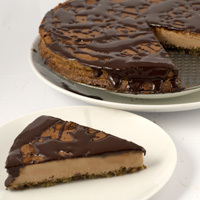 Some types of low-carb desserts are listed below, with links to recipes. This is the easiest type of low-carb dessert to make. Typically, you would start with a base of dairy or nut milk or cream, and then add sweeteners and flavourings, and perhaps eggs. Some mousses include gelatine. In its very simplest form, just whip up some full fat cream with sweetener. 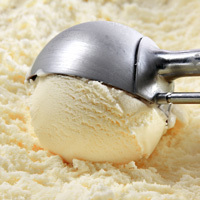 Ice cream is actually a variation of the previous section – but you would need to freeze your mixture as the last step. Using an ice-cream machine does produce better results – there are some simple models you can pick up for as little as £20. Cheesecake filling is made mostly from cream cheese, plus eggs and cream (or sour cream). All of these ingredients are naturally low-carb. You can use sweetener instead of sugar, and unsweetened extracts and flavourings. Cheesecakes work ok without a crust, but if you do want a crust, you can easily make one from ground nuts and seeds, mixed with butter. Low-carb baking is simpler than it sounds. The texture of low-carb cakes and other baked goodies won’t be quite the same as the traditional ones – they are typically heavier and more dense – but not any less nice because of that. Just a little bit different. Brownies get their own separate section because they are my favourite dessert (although I suppose you could argue they are technically a cake). 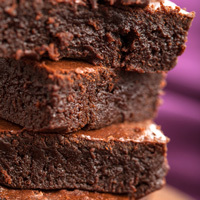 Basically the same recipe as for standard brownies – just use sugar substitutes and unsweetened chocolate and cocoa powder. 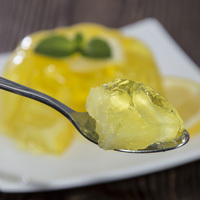 Sugar-free jelly is one of the easiest low-carb desserts to make, especially if you manage to find a ready-made mix – just add water. Making it from scratch is not very hard either – you would just need some gelatine, flavourings, and a couple of drops of sweetener. 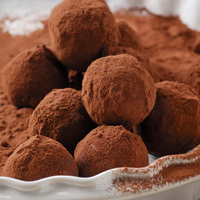 Truffles are little balls of chocolate goodness, made from melted chocolate mixed with heavy cream – or something like nut milk or coconut oil if you don’t like dairy. You can play around with additional flavours to create a very decadent sweet – no one will believe it is low-carb! Unfortunately, not all desserts are easy to make low-carb, for example, meringues and French macaroons, caramel and fudge. Usually this because sugar substitutes don’t have quite the same chemical qualities as sugar – for example, they don’t caramelise quite as well. Some people have tried to adapt these recipes, but it tends to be rather complicated. I would advise to stick to tried and tested desserts listed above, at least to start with, until you get a bit more experience and get used to the properties of low-carb ingredients. Although sugar-free products are slowly making their way to the shelves of mainstream supermarkets, your best bet would be health food shops and specialist retailers. Online shops tend to have a wider selection. If you are based in UK or European Union, please do visit our online low-carb shop for a wide range of low-carb baking ingredients, sugar substitutes and sugar-free chocolate and cacao powder. One word of caution – although these desserts are low in carbs, many of them are still quite high in calories. So if you overindulge, your weight loss could stall. As is the case with standard desserts, it is best to just have dessert occasionally as a treat, rather than every day or with every meal. 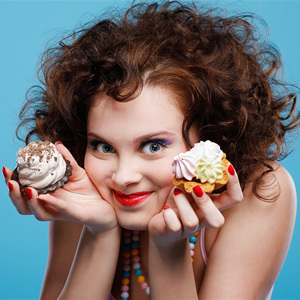 Finally, please also note that consuming too much sweetener can result in stronger sugar cravings in some people, as well as digestive upset. As always, moderation is the key. Just be sensible about how much you consume and watch out for any undesired effects. Can you suggest a sugar free low carb strawberry or raspberry flavouring to add to plain yogurt for my child. Hi Barbara, why not just use actual fresh strawberries or raspberries? They are very low in carbs anyway (see our table of berry carb counts here: https://www.carbophobic.com/berries-carb-count/), and you only need a small amount to add flavour. I think natural is always better than artificial options.